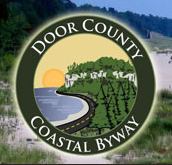 The marker is located at a small grassy area and is accessible from eastbound County Highway H / Wisconsin Highway 44, at its intersection with County Highway H, Kingston, Wisconsin 53926. Looking east from the marker location. Looking northeast from the marker location. The marker is located in Kingston, Wisconsin.